This magnificent new hotel features four swimming pools (one with a wet bar), a "Renova Spa" and a wealth of amenities to ensure you maximum comfort during your stay. The hotel's idyllic location offers a variety of activities on the beautiful beaches. Dreams Playa Bonita Panama is an indulgent all-inclusive resort set on the spectacular beaches of Playa Bonita. The resort features five sparkling free-form pools, jungle walkways, ocean view suites and an expansive, tranquil spa. Luxurious suite accommodations offer magnificent views, private balconies, and a wealth of amenities. Satisfy your senses on this Aussie adventure. Enjoy the crystal clear waters and white sand beaches of the Whitsunday Islands, traverse the lush Daintree Rainforest and explore two of Australia’s best cities. Some highlights include a full day tour of Kangaroo Island, where you can get up close and personal with this iconic Australian animal, and a tour of tour of the world class city of Sydney. The perfect combination of beaches, wildlife and city life, Taste of Australia is the perfect sampling of it all. 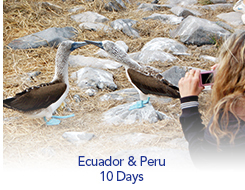 Experiencing one of our Galápagos Islands expeditions is an unrivaled experience. Our 360º approach is your guarantee of an in-depth encounter with all its wonders. Hotel Xcaret Mexico is a natural haven by the Caribbean Sea and the mystic jungle of Riviera Maya. A unique destination inspired by Mexican traditions, art and culture. 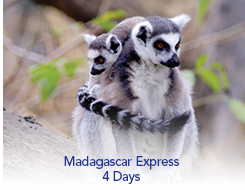 Live an authentic experience that redefines and refines the concept of an all-inclusive resort. Itinerary: U.S./Keflavík, Iceland/Reykjavík, Reykjavík/Kangerlussuaq, Greenland/Embark, Greenland’s West Coast & Sisimiut, Disko Bay & Ilulissat, At Sea in Baffin Bay, Exploring The Canadian High Arctic, Eastern Baffin Island, Kangerlussuaq/ Disembark/ Reykjavík/ Keflavík/U.S. Venture deep into the far northern reaches of the Arctic, on a quest for arctic wildlife and the magisterial scenery of the ice--occurring at an epic scale in Greenland. The Hotel Riu Palace Antillas is located on the shores of Palm Beach, Aruba. This adults-only hotel offers the ideal place to relax and enjoy the sun, both at the wonderful swimming pool and on the golden sands of Palm Beach. This PONANT itinerary is your chance to embark on an 11-day expedition cruise to Greenland. 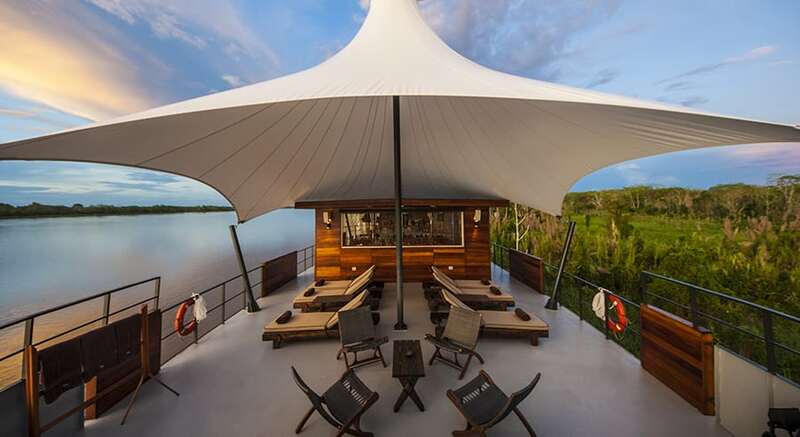 Aboard Le Boréal, you will enjoy a combination of adventure and discovery in the company of an experienced team of naturalist guides, anthropologists, ornithologists and marine mammal specialists. Itinerary: U.S./Buenos Aires, Argentina, Buenos Aires/Ushuaia/Embark, At Sea In The South Atlantic, Falkland Islands, South Georgia Island, Falkland Islands, Ushuaia, Argentina/ Disembark/Buenos Aires/U.S. Steeped in Shackleton and whaling lore, covered mostly in glaciers, South Georgia explodes with life: king, gentoo, and macaroni penguins, enormous elephant seals and a thriving fur seal population. Thailand's islands are known for wonderful views, fascinating wildlife and languid island life. On Thai Island Escapes you will get a true taste of the Thai islands. Explore the coves in Phuket, the warm waters of the Andaman Sea and indulge in some of the best seafood in the region. 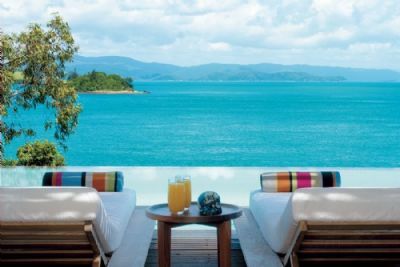 Spend time in the idyllic Koh Samui, the perfect place for relaxation and tranquility. Dive, snorkel or just absorb your beautiful surroundings in these picturesque islands. Aqua Expedition's 3 night Amazon River luxury cruise on the Aria Amazon begins in Nauta (IQT), Peru and transports guests in exceptional comfort into the Amazon rainforest, along the Marañon River, the Amazon's largest tributary, as well as other neighboring rivers (the Yarapa and Yanayacu-Pucate), each one rich in vibrant wildlife and thriving rainforests. Discover a heavenly hideaway for the entire family on the shores of Jamaica's stunning north coast. Pirates Island, a 27,000-square-foot waterpark, vies with Elmo, Zoe and other Sesame Street favorites for your kids' attention. An XBOX 360® Game Garage and a golf clinic expressly for youngsters at nearby Sandals Golf & Country Club keeps tweens and teens blissfully occupied. Situated on a peninsula surrounded by the sea on both sides, this 300-room resort boasts incredible Rondovals (suites-in-the-round) with 24-hour room service and personalized Butler Service; a full-service Red Lane® Spa; fitness center; tennis pavilion; eight restaurants and five pools - including a lagoon pool where guests can swim right up to their rooms. With Sandals' exchange privileges, guests can also enjoy all the amenities and services of other nearby Sandals Resorts including complimentary golf. 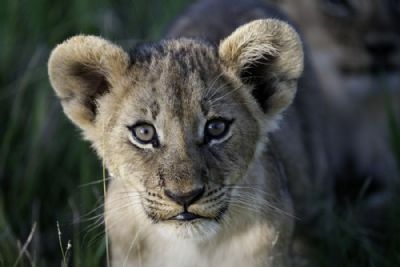 Visit the best big game reserves in all of southern Africa to see the planet’s most unbelievable creatures on the Ultimate Southern Africa Safari. 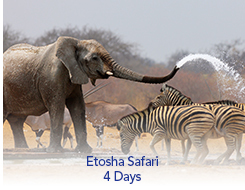 Discover the ultimate safari experience in ultimate luxury. Staying at some of the most fabulous lodges in Africa, you will be surrounded by the African plains and big game. 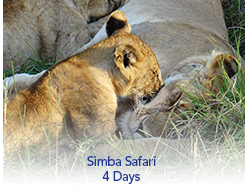 There will be no shortage of safari drives, relaxation and excellence as you uncover the beauty of southern Africa. Please note, from January until 31 May for the Greater Chobe National Park DumaTau will replace Kings Pool as Kings pool is closed for refurbishment. From 1 June, Kings pool will reopen and the package will then continue with that camp. Outstanding luxury beachfront resort, cascading waterfalls, five lushly landscaped pools, extensive art. with stunning views of Lanai and Molokai. The Hard Rock Hotel & Casino Punta Cana is set on the Dominican Republic's easternmost tip. This 1,790-room resort offers uncompromising, all-inclusive luxury and eleven different outdoor pools with gorgeous ocean and lagoon views. Every spacious guestroom features a private balcony, LCD satellite TV and a double Jacuzzi®. Begin your travels in bustling Hanoi. A place that manages to leap forward whilst still maintaining a deep connection to the past; discover secret places that make this city the artistic and cultural capital of Vietnam. Located on 40 spectacular oceanfront acres on famed Ka'anapali Beach, the Hyatt Regency Maui Resort and Spa offers unlimited activities and amenities in a setting of tropical luxury. This standout among Maui resorts truly offers something for everyone: half-acre pool with a 150-foot lava tube water slide; sand bottom children's pool; an extensive collection of Asian art; lush landscaping with exotic wildlife; a rooftop astronomy program; tennis; nightly entertainment including "Drums of the Pacific" Polynesian Luau and Cirque Polynesia; nine award-winning restaurants and lounges; and of course, Maui's only oceanfront full-service spa, the magnificent Spa Moana and Moana Athletic Club. 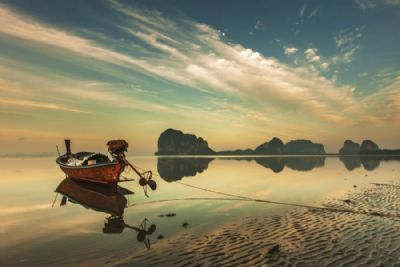 In this 4-night itinerary from Siem Reap to Phnom Penh, your journey begins from the Tonle Sap Lake, a spectacular freshwater lake that that is inhabited by more than three million people living around its bank. Experiencing Cambodia's timeless pastoral serenity as you travel in luxury amidst these captivating landscapes. 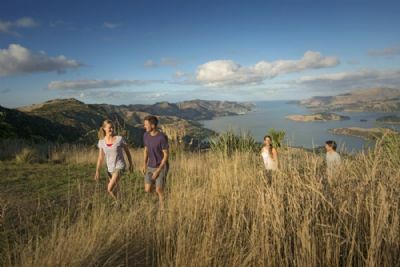 Premier Escorted Vacation, with guaranteed smaller groups, through New Zealand's North Island. Sous Sdei and Welcome to Cambodia. You will be met at the airport and transferred to your hotel in Siem Reap. In the evening, meet your Tour Director to learn more about the days ahead. Plan your next getaway to this heavenly Mexican hacienda-style family resort nestled between the Sierra Madre mountains and the Pacific Ocean, located 161 miles north of Acapulco. Intimate and serene, Casa Velas is an exclusive adults-only resort retreat on Mexico's Pacific Riviera. Lush tropical gardens beckon around every corner; regal palms create an oasis; Koi fish ponds sparkle in the afternoon sun; and lawns are visited by the resident peacocks. With easy access to Grand Cayman's best attractions, including scuba diving, shopping, and golf, guests at The Westin Casuarina Resort & Spa will enjoy a relaxing getaway. The beach stand offers a variety of water activities, from wave runner adventures to snorkeling. Fall asleep under frescoes in high-ceilinged rooms, dine on authentic Italian dishes on the airy veranda and recover from a day of shopping and sightseeing with a massage in the sleek, modern Spa. Once a garden where the convent's residents grew herbs and greens, today the beautifully landscaped, inner courtyard is a natural sanctuary from city life. Such is Africa's allure: that a bright fellow like Hemingway would lie in his tent, homesick before he'd even parted from a place that had come to seem more like home than home itself. Explore Antarctica in expedition style, aboard an authentic expedition ship is an incomparable experience and your guarantee of an in-depth encounter with all its wonders. Lindblad Expedition's pioneering polar heritage and 50 years of experience navigating polar geographies is your assurance of safe passage in one of the wildest sectors of the planet. Embark on a leisurely adventure ablaze with colour. Meander past ancient totems, modern icons and breathtaking natural wonders, enjoying a bit of ‘fair dinkum' fun along the way. Hidden away on one of the most spectacular parts of Fiji's Coral Coast is the perfect getaway from the pressures of everyday life. Relaxation seekers can laze on the beach or snorkel in the clear water, then enjoy the health and beauty spa. In the evening, savor a sumptuous dinner, then dance the night away at the disco. From Mandalay to Yangon, the sublime Irrawaddy River and the equally enchanting landscape of Myanmar will accompany you on this adventure of a lifetime. Only recently opened to western travellers, this land of deep spirituality and spectacular treasures will entrance and delight. The New Coral at Atlantis is dedicated to multigenerational family fun. From the unconventional flavors in the lobby lounge, to completely renovated rooms and the sparkling private poolscape with cabanas, swim-up bar to grab ice pops and signature drinks – the NEW centerpiece of Atlantis sits beside the white sand beaches of Paradise Island. The Coral has the closest proximity to Marina Village – filled with new Bahamian dining and cultural features, with options for everyone in the family.